EA reads too much George Orwell, proof that they can read. Get demo and pre-order Pets now, do you hear me? 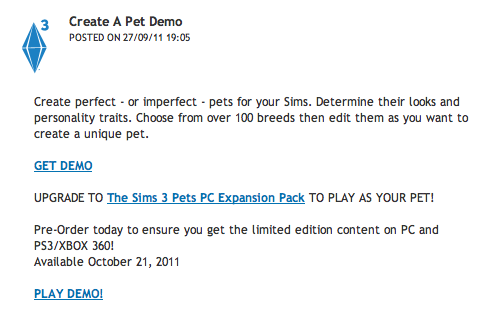 GET DEMO AND PRE-ORDER PETS NOW. Has EA been reading 1984? Should we now call them Big Brother? 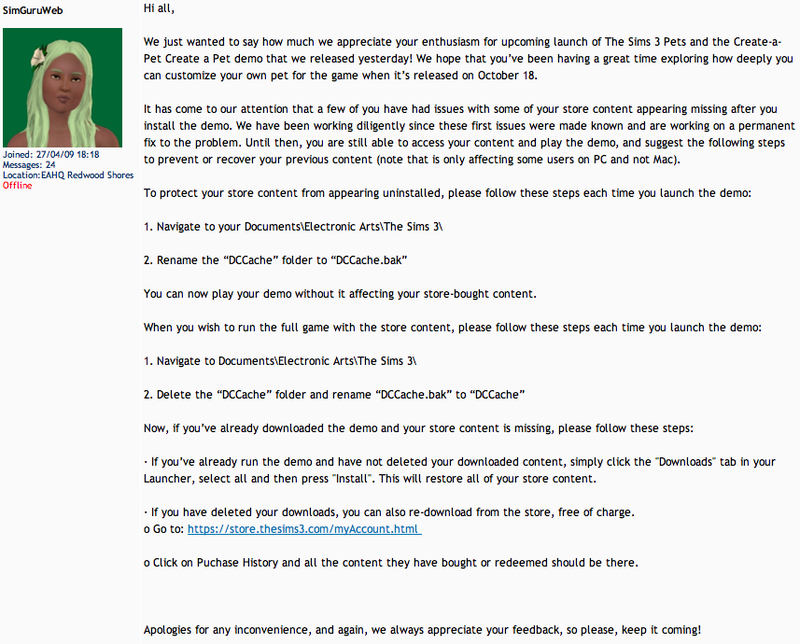 Judging by the amount of snooping they do on us when we open the Launcher or even visit the website, it seems so. Snooping and demanding we obey, very Orwellian. Previous “Not a Concrete” Park uploaded. Seems like a lot of work to play a demo, and for a game that is targeted towards children and up. I don’t know about anyone else but I don’t want my kids playing around renaming files and such. They should be able to load and play with no issues!